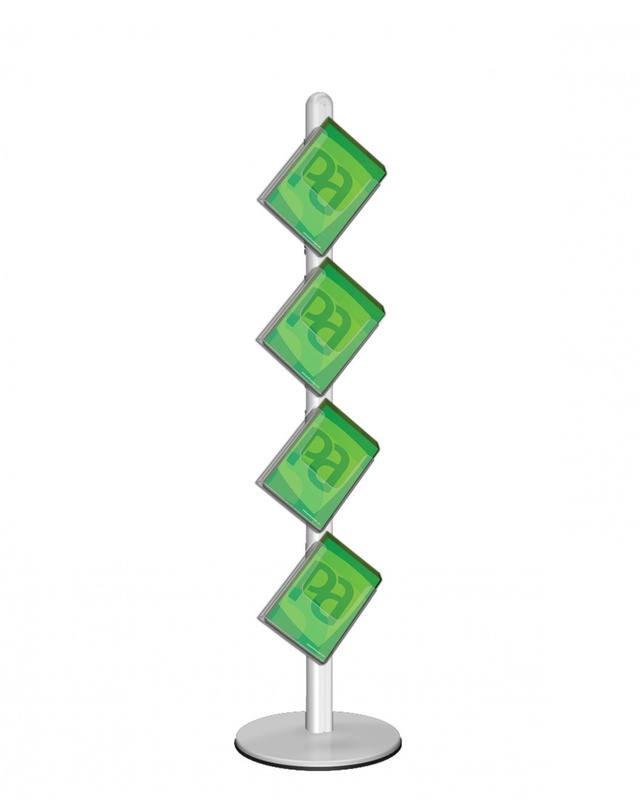 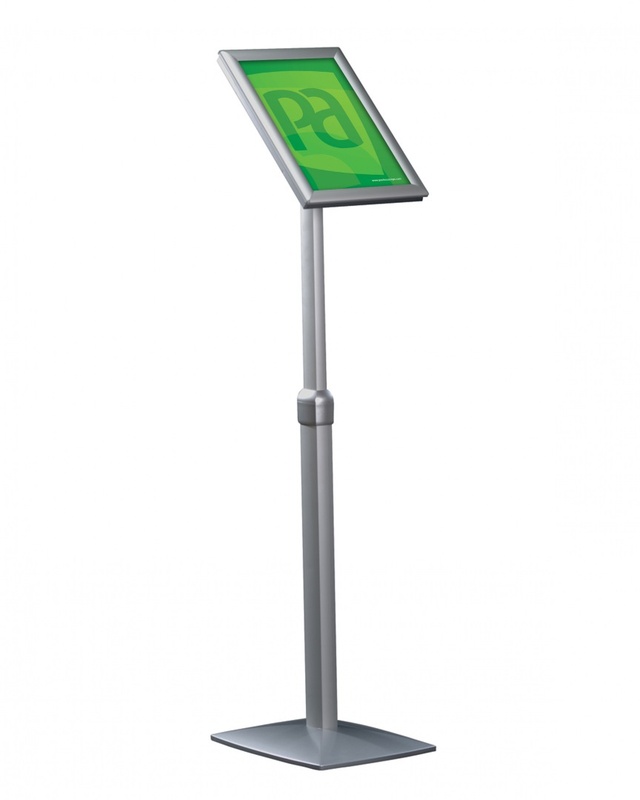 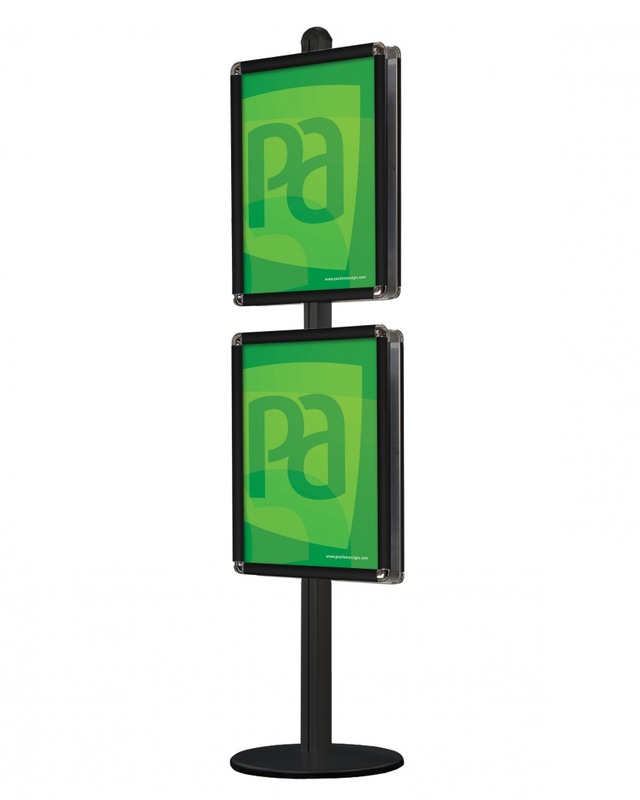 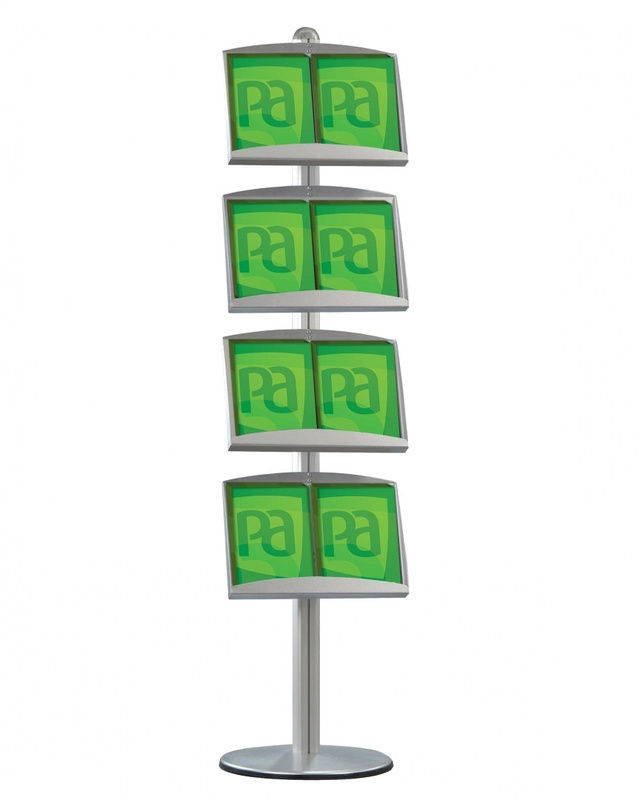 With Poster Frames or Brochure Holders. 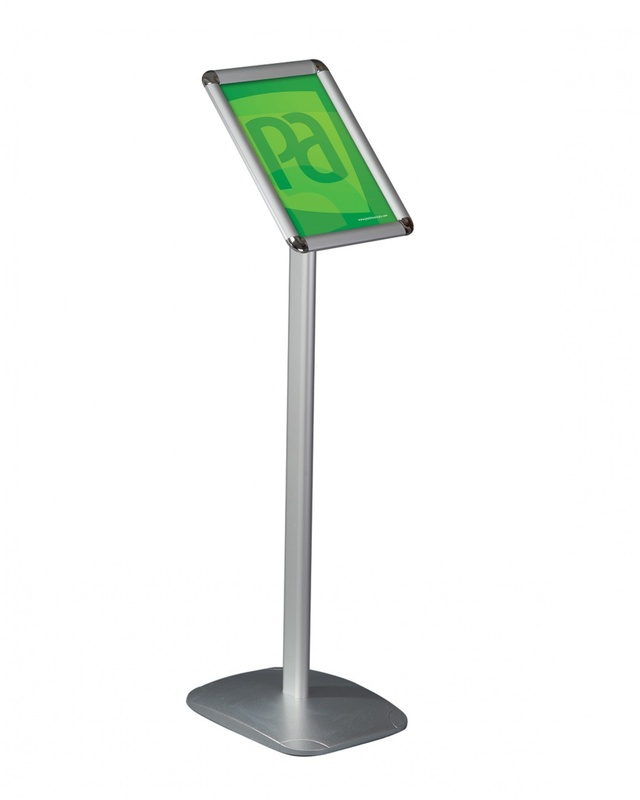 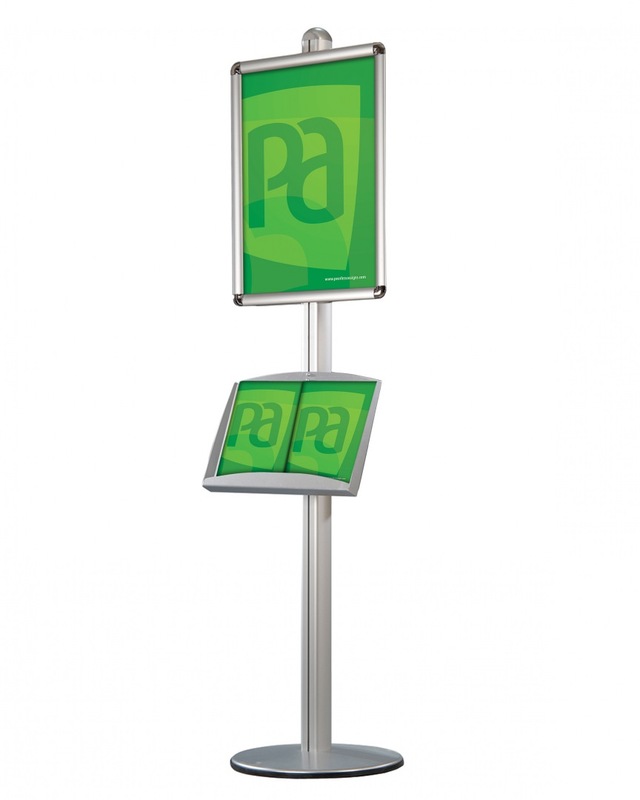 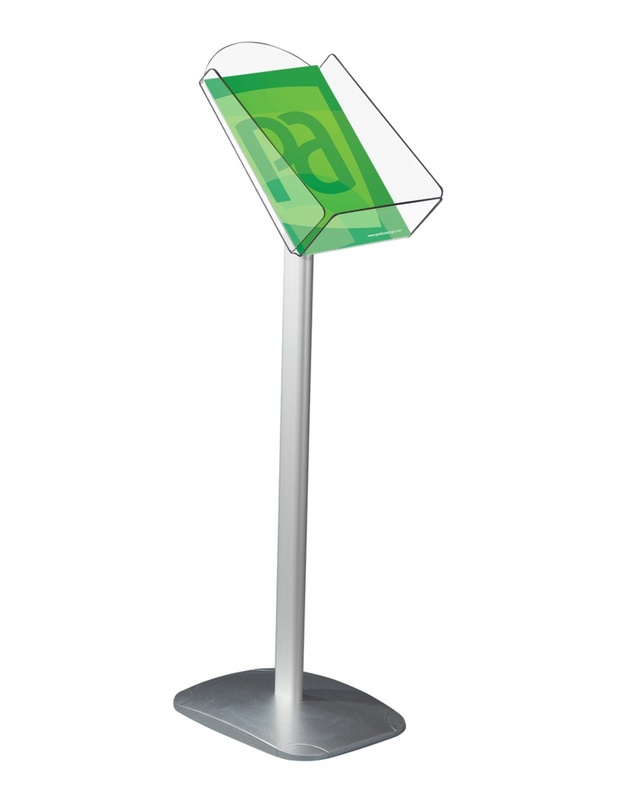 A fully Modular Floorstand with Poster Frames comprising a central ‘totem’ pole, round corner snap frames and steel brochure holders. 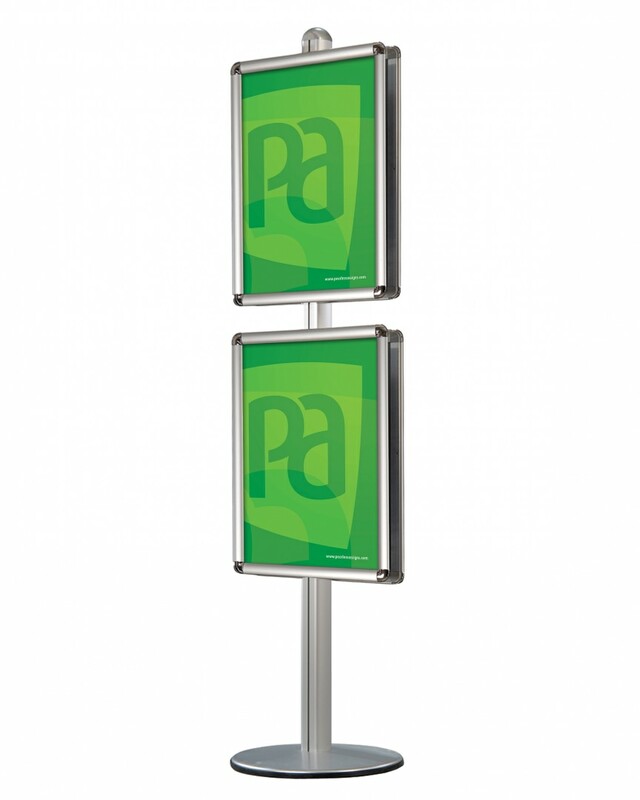 Many other options available – please call with your requirements.